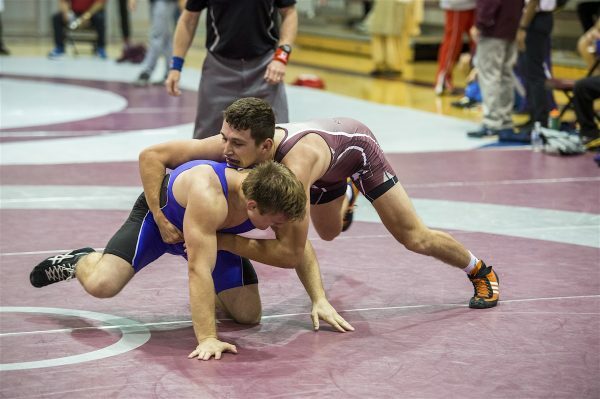 As the Ontario University Athletics’ wrestling season concludes, second-year Benjamin Zahra and the McMaster Men’s Wrestling team have a lot to celebrate and even more to look forward too. In the Feb.8 edition of this newspaper, the excitement surrounding the revitalzied men’s wrestling program was highlighted, reinvigorated under a new coach and bustling with excited talent. Now with the season fully in the rear view mirror with all of the final tournament results, there is a lot to celebrate. The standout wrestler in this program, as was the case earlier in the season, is Ben Zahra who remained in perfect form as his championship season came to an end. In February, Zahra provided the Marauders with their lone provincial championship medal — a bronze in the 76 kg category in what was a grueling battle to the podium. But the Kingston, Ontario native was on a different level at the National Championships in Montréal in late March. Zahra finished on top, with a gold in the 79 kg category while being dominant from beginning to end. Through the U Sports National Championships, Zahra did not concede a point in three matches. Zahra won with a pin in the first match and with a technical score of 11-0 and 10-0 in the semifinal and final, respectively. While a podium finish is an extremely impressive accomplishment for a U Sports competitor, the fashion in which Zahra wins is of special consideration. The young wrestler’s focus and perfection he brings into his matches are key to giving him the results he desires. “It really helped knowing that going into tournaments that all the work had been done at practice, and all that was left was to go out and enjoy it,” Zahra added. While this gave an eye into the focus and persistence Zahra brings to the mat, he was also willing to notice when it had not gone how he would have liked. This shows the mentality that Zahra is bringing towards his growth from here. He is performing and succeeding at a high level, even grabbing victories at the senior level earlier in the season, but he is not nearly done. Part of this drive should be credited to first-year coach, Cleo Ncube. In conversations with coach Ncube earlier this season, he put the responsibility for actions and performance right into Zahra’s hands, pushing him to take this opportunity and make it something special. 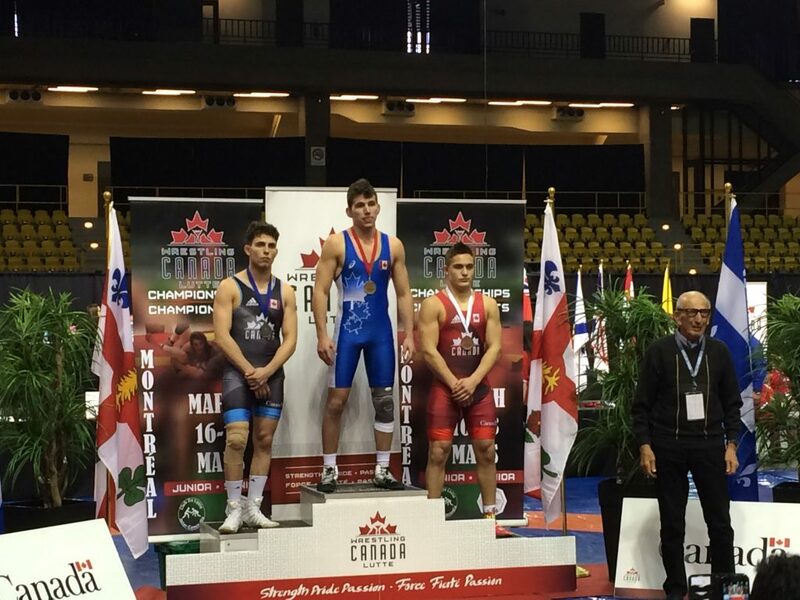 To cap off this fantastic season, Zahra will be representing McMaster and Canada in Slovakia at the Junior World Wrestling Championships in September. For Zahra, this is a huge honour and another step in the right direction. Overall, this leaves Zahra and McMaster, under coach Ncube’s guidance, in a very good position moving forward. Looking through the McMaster roster, this team has experience and fresh energy, a fact Ncube was excited for, suggesting he was seeing positive progress from all elements of his roster. 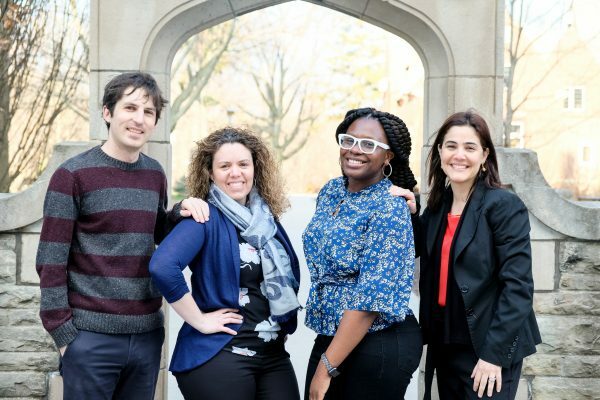 Based on the words of their current competitive leader, Zahra, it is easy to be excited for the entire program. The dynamic of wrestling as simultaneously an individual and team sport is interesting, and Zahra commented how that reality plays out for him. For Zahra, that balance was divided between the time on and off the mat. Still, he added that he takes the energy and passion of seeing a teammate perform well on the mat and lets that fuel his drive. “It inspires me to do the same and this is another important team aspect of wrestling,” Zahra said. This is why it is easy to be so optimistic for this team moving forward. The results are not the only element of this sport. With a culture that inspires hard work, a coach that constantly asks for more and talent that is already performing at the highest level, McMaster wrestling will stay in the conversation for many seasons yet.